While capturing photomosaics it is difficult to find time to look around and take in the larger scene. Sometimes, when I do take a fleeting moment to get my bearings and reorient to the reef, I am met with a surprise. 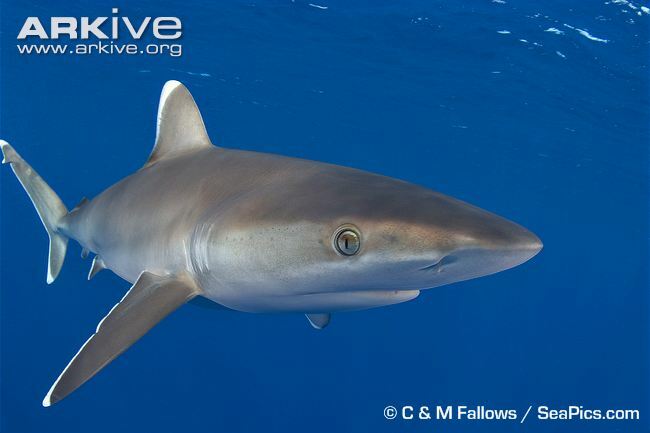 This morning’s dive provided one of those moments, when I looked up and saw a 6-foot silver tip shark (Carcharhinus albimarginatus) investigating me. I was able to take a couple of minutes and watch this animal accelerate close over the reef and perform some hairpin turns, before settling on a more leisurely pace toward deeper water. I have been told we will not often see this particular species of shark, so I was happy to have picked such an auspicious time to pick up my head. Today we dived off the wreck of the President Taylor, a shipwreck at the mouth of Kanton’s lagoon. 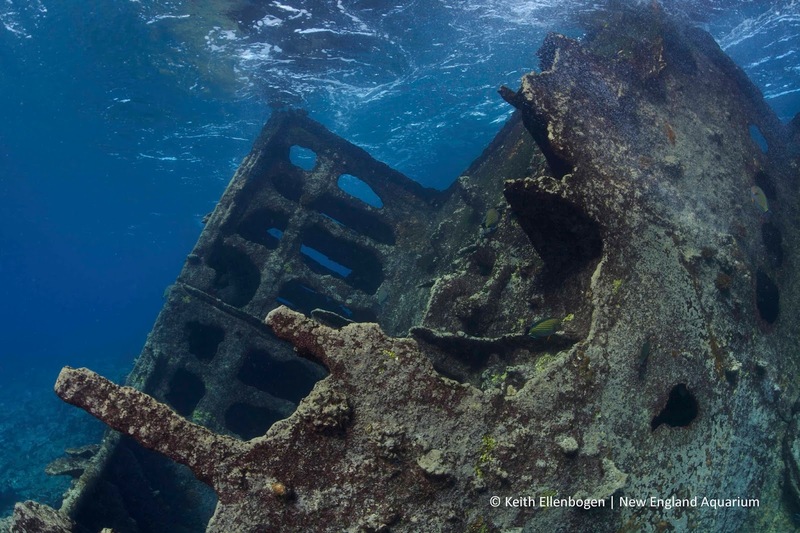 While it is an impressive wreck from the surface, beneath the water yields an entirely different view. It is difficult to put into perspective how massive this ship must have been. Today, it is a rusting hulk of steel, which serves as structure for an extraordinary number of fish. It is always exciting to see new fish species, and today I was able to add one to my list. On the way back from collecting samples from the wreck I came across a small fish, with exaggerated dorsal spines and a beautiful maroon and white coloration. 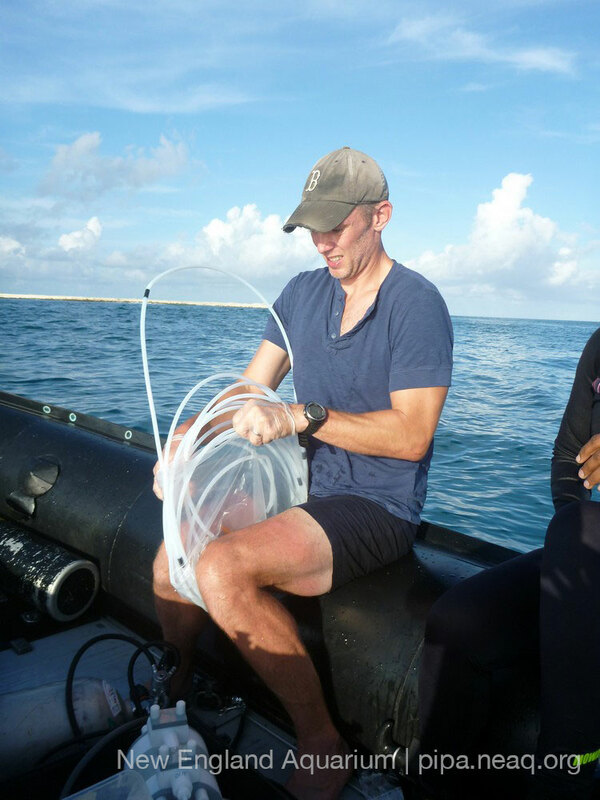 Dr. Brian Zgliczynski of the Scripps Institution has an encyclopedic knowledge of reef and shore fishes of the South Pacific. He was able to correctly guess the fish species based on my description, first try. It ended up being a juvenile rockmover wrasse (Novaculichthys taeniourus). While the adult of the species is known for its ability to overturn large rocks in its pursuit of prey, the juvenile mimics drifting masses of algae.